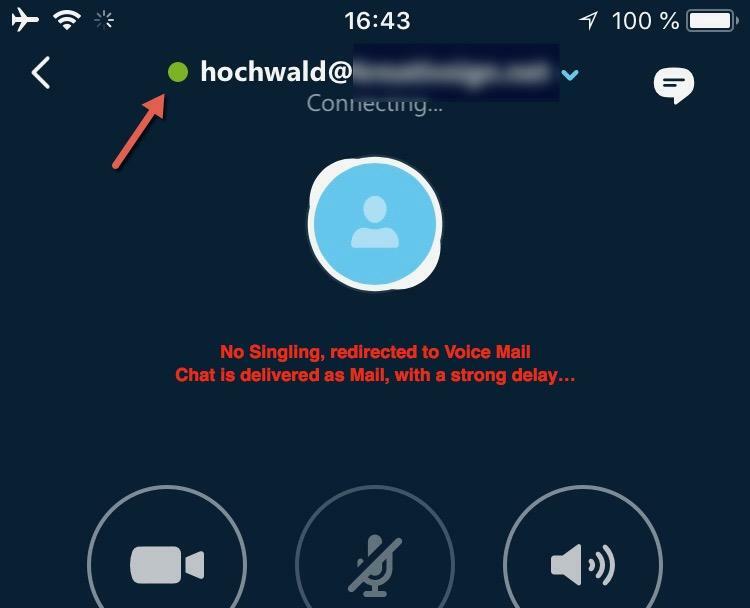 Chats and calls from Skype for Business arrive on my (iOS based) Smartphone Client, because I don’t start the Skype for Business Client all the time (anymore). 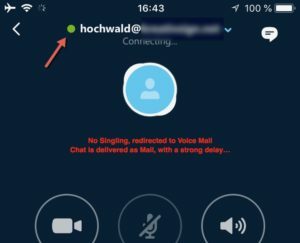 I told many of my contacts, that they should be patient and this is something that could happen during the cut over from Skype for Business towards Microsoft Teams. Now the good news: Microsoft is working on it! It is part of the Roadmap and the unified presence status should come in Q1/2018. What else can we do? Pretty simple: Send feedback to Microsoft! The Microsoft Teams product is very much community driven and the UserVoice feedback is great. Please think about it: Try to make the software better instead of not using it because you find something that you don’t like. It took a very long time for Microsoft to change from a internal to an community driven development approach. And we all should support this great idea… Nope, I’m not getting sponsored from Microsoft for this. And you might also vote for the already existing request on UserVoice. Even if the status is “Working on it” and that this is part of the roadmap. 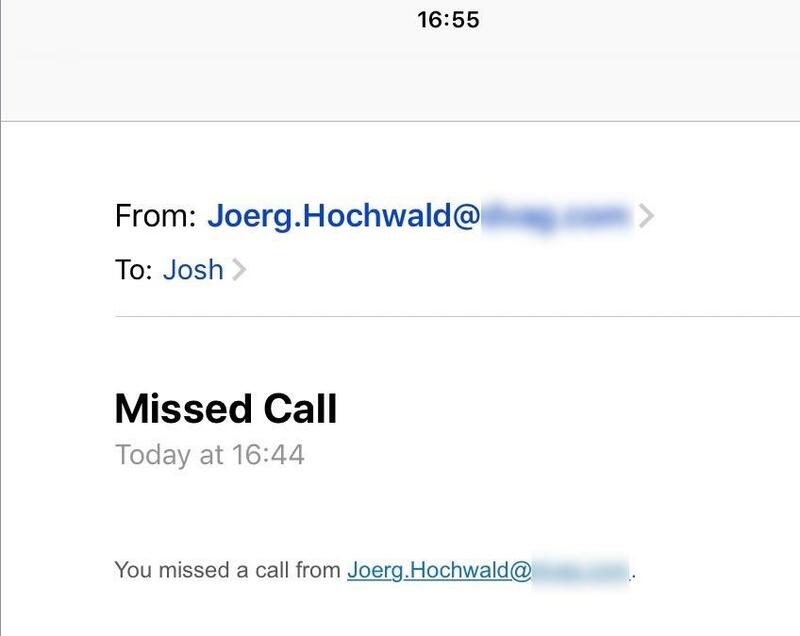 Dear Joerg, Have you found out any solution or work around for this issue? 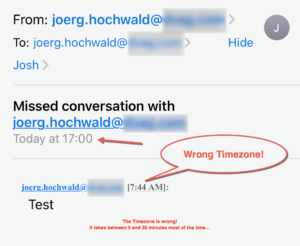 We recently migrated to O365 and many users have reported this issue. I’ve raised support tickets with Microsoft but they are of no help at this time. This issue apparently started post they implemented unified presence. since a while, the unified presence works fine. At least for me and my customers. If I change my Status within Teams, a few seconds later my status in Skype (and on the Polycom Phone) change to the same state. 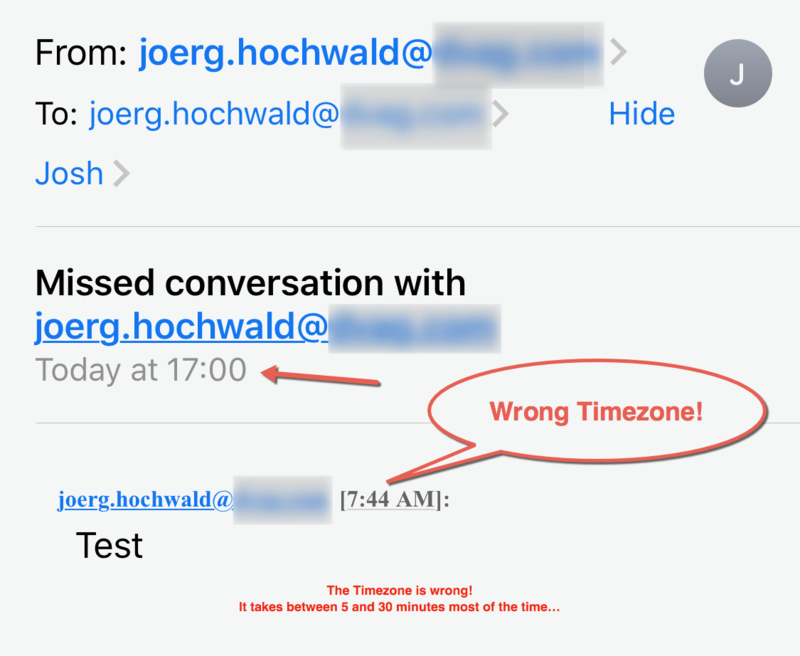 On the other hand: When I pickup the phone, my status in Microsoft Teams is updated. But: Since a few days, we have some issues! 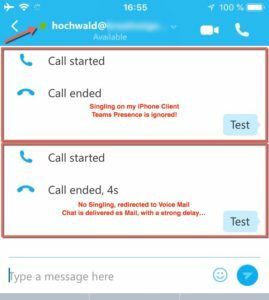 The update from Teams towards Skype for Business Online works fine and fast. The other way around not! 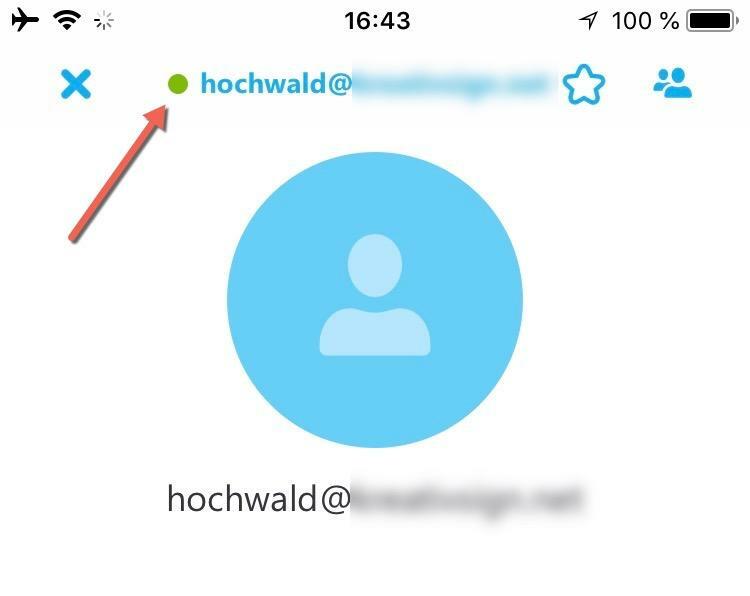 So, when I change my status within Skype (or via my Polycom Phone), the Microsoft Teams Status is not updated. Sometimes never and sometimes after a few while. 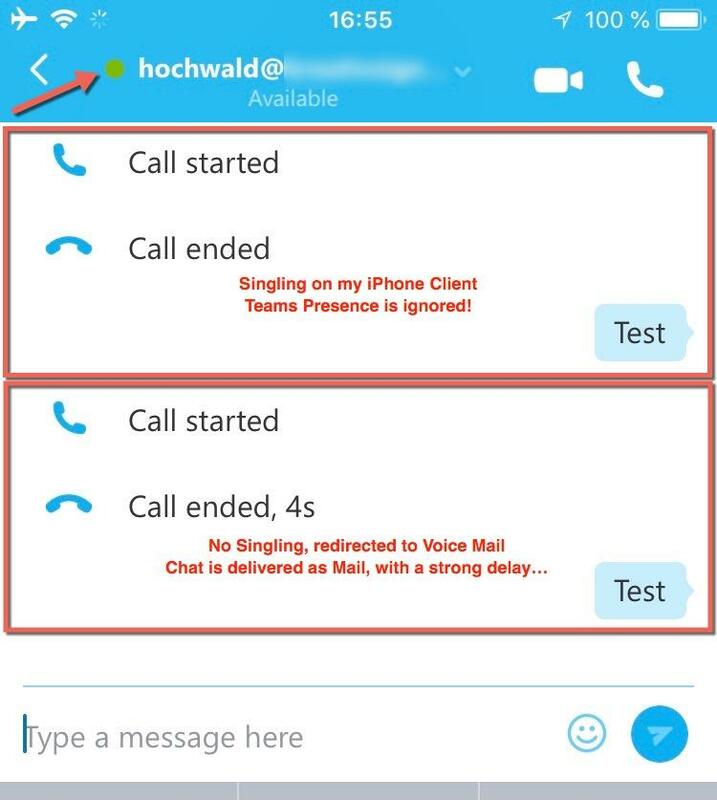 If i place a call within Teams, the Skype Status changes to “In a call” immediately.